What will $2,200 rent you in Oakland, right now? We've rounded up the latest rental listings via rental site Zumper to get a sense of what to expect when it comes to finding an apartment in Oakland if you don't want to spend more than $2,200/month on rent. Listed at $2,200/month, this 600-square-foot one-bedroom, one-bathroom apartment is located at 491 Mandana Blvd. 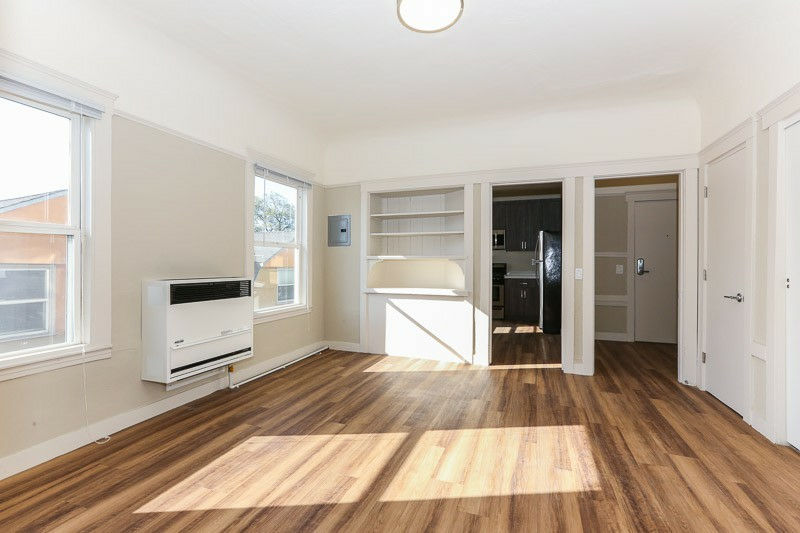 In the apartment, anticipate hardwood flooring, central heating and wooden cabinetry. The building features on-site laundry and secured entry. Pets are not allowed. According to Walk Score's assessment, the area around this address has excellent walkability, has some bike infrastructure and has good transit options. Next, there's this one-bedroom, one-bathroom over at 650 Alcatraz Ave. It's also listed for $2,200/month for its 575 square feet of space. The apartment features hardwood floors, stainless steel appliances and wooden cabinetry. Cats and dogs are not permitted. According to Walk Score's assessment, the surrounding area is very walkable, is easy to get around on a bicycle and has good transit options. Here's a 700-square-foot one-bedroom, one-bathroom apartment at 2300 Fruitvale Ave., #A, that's going for $2,195/month. In the unit, you'll get a dishwasher, in-unit laundry, a walk-in closet, a fireplace, hardwood flooring, recessed lighting, granite countertops and wooden cabinetry. Amenities offered in the building include assigned parking, secured entry and on-site management. Animals are not welcome. According to Walk Score, the area around this address is quite walkable, is relatively bikeable and has good transit options. Check out this one-bedroom, one-bathroom apartment that's located at 542 25th St. It's listed for $2,195/month as well. The building has on-site laundry and outdoor space. Apartment amenities include a dishwasher, high ceiling, air conditioning, hardwood flooring, stainless steel appliances, granite countertops and wooden cabinetry. For those with furry friends in tow, know that cats and dogs are permitted on this property. According to Walk Score's assessment, the area around this address is a "walker's paradise," is easy to get around on a bicycle and boasts excellent transit options. Finally, listed at $2,150/month, this one-bedroom, one-bathroom is located at 482 40th St. In the unit, you can anticipate hardwood floors, stainless steel appliances, a dishwasher, in-unit laundry and wooden cabinetry. On-site management is offered as a building amenity. Neither cats nor dogs are permitted. Walk Score indicates that the area around this address is quite walkable, is a "biker's paradise" and is a haven for transit riders.